Haha! Aw! And other such noises spring to mind. Just the perfect image of our Pug Alfie Blue. His tongue's too long for him so it sticks out all the time and he gazes adoringly at my man all day. Are you selling this as a print as I'd love to get one. This is so adorable! 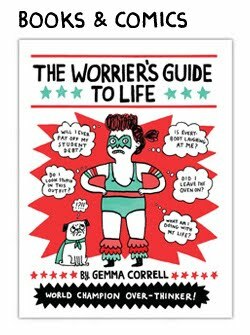 I love your art and can't wait to get my hands on your book! 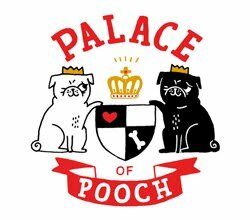 Reminds me of my Peke Henry! So cute~~~~I'm pining it on my pinterest! Please make this available in some form that can be purchased. Please. 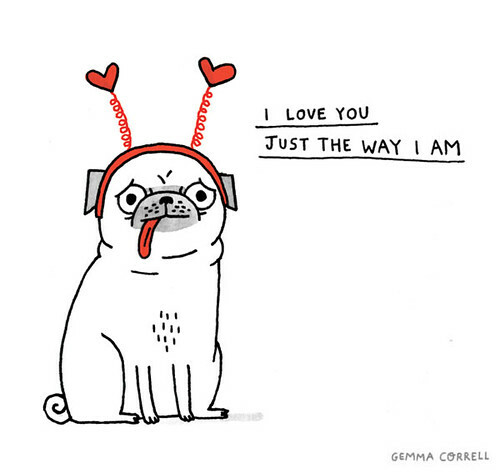 This looks just like my pug, Popcorn, in his Valentine's heart headgear! Oops. Messed up the link again! Okay, here goes. Presenting Popcorn the pug in his heart antennae!